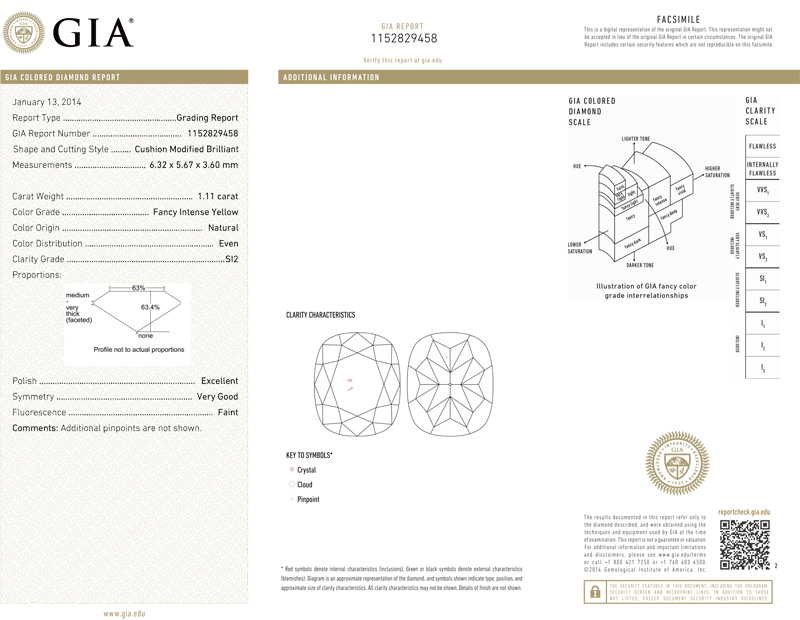 Here is a phenomenal value in an SI2 rated diamond. 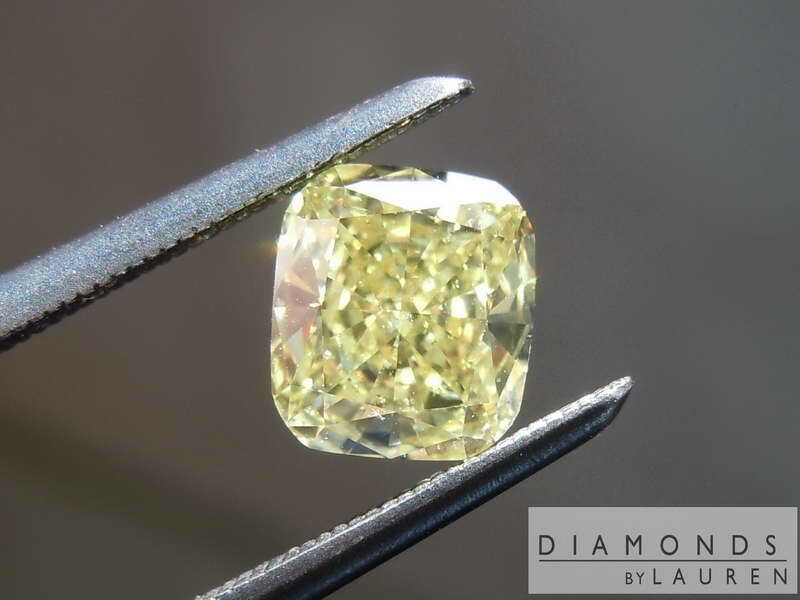 The reason for the clarity grade is a few salt and pepper spots sprinkled around the diamond. They are difficult to see with a loop, impossible to see with the naked eye. 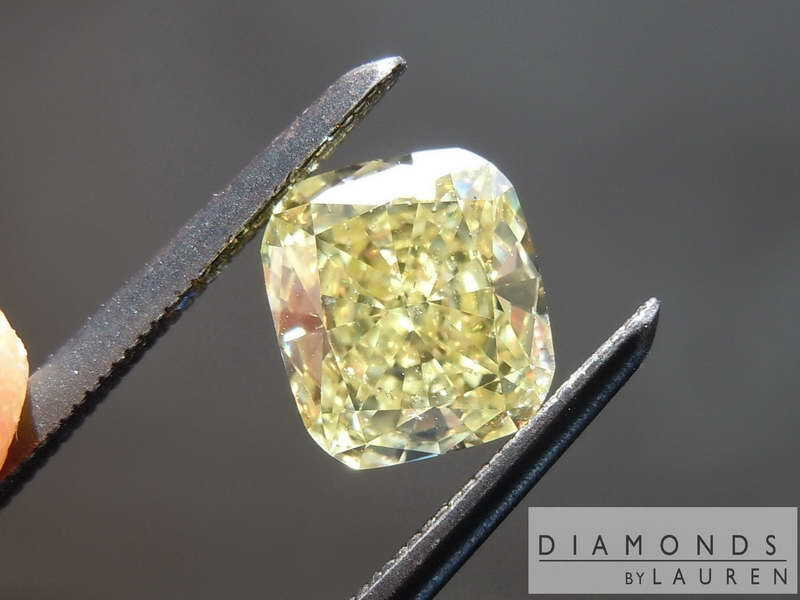 In terms of colour, the stone is a strong fancy intense yellow about three quarters of the way up the scale to being a vivid. Its a canary. 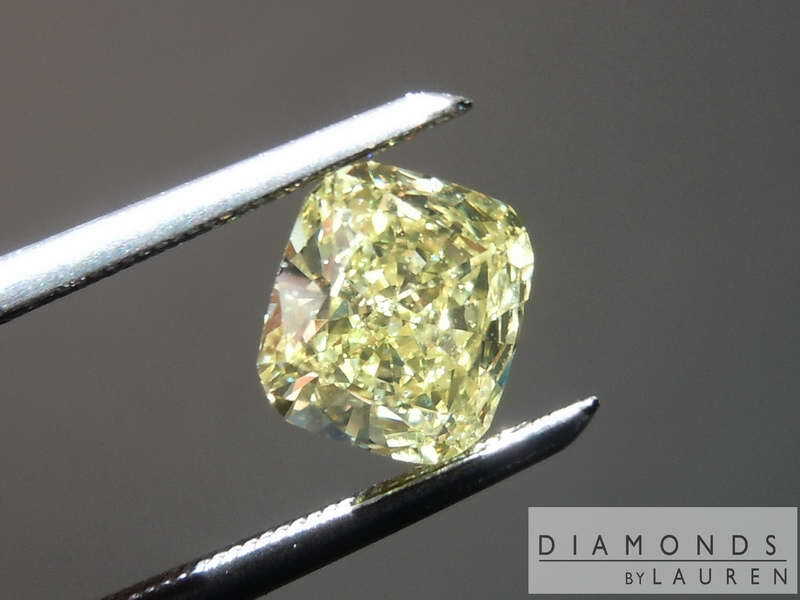 In terms of cut, it's also a phenomenal example of an intense yellow cushion. 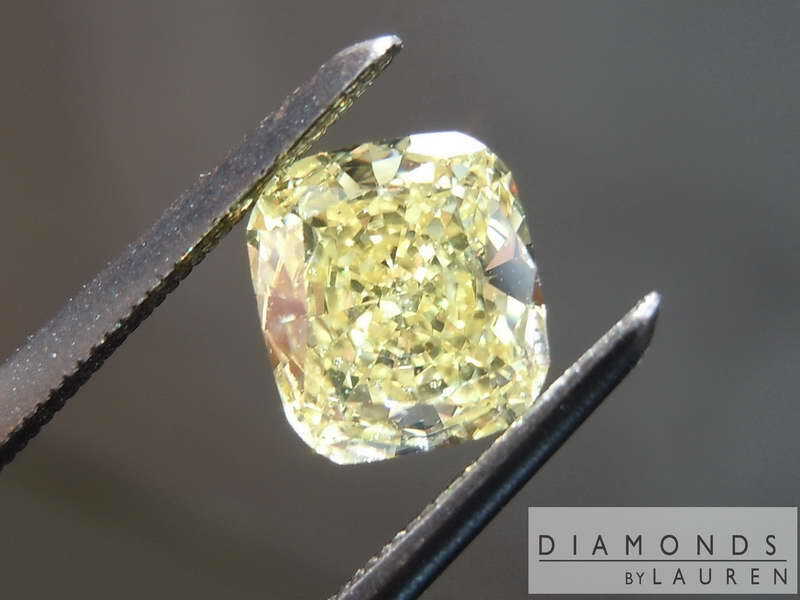 The stone has a beautiful shape and very good size for its weight. I love SI2 clarity stones for this reason. 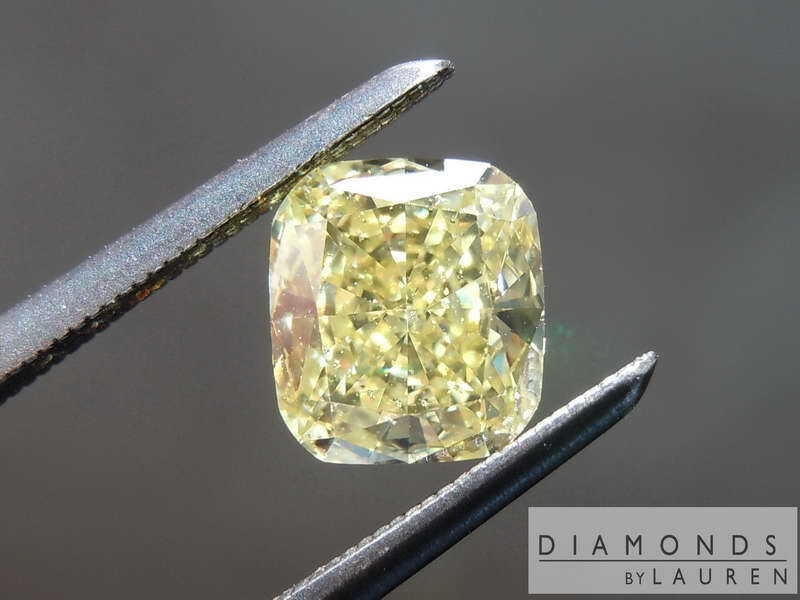 Well, let me rephrase that - I love super well cut diamonds with great life that happen to be SI2 and eye clean and are given a great price because of it. There you go.